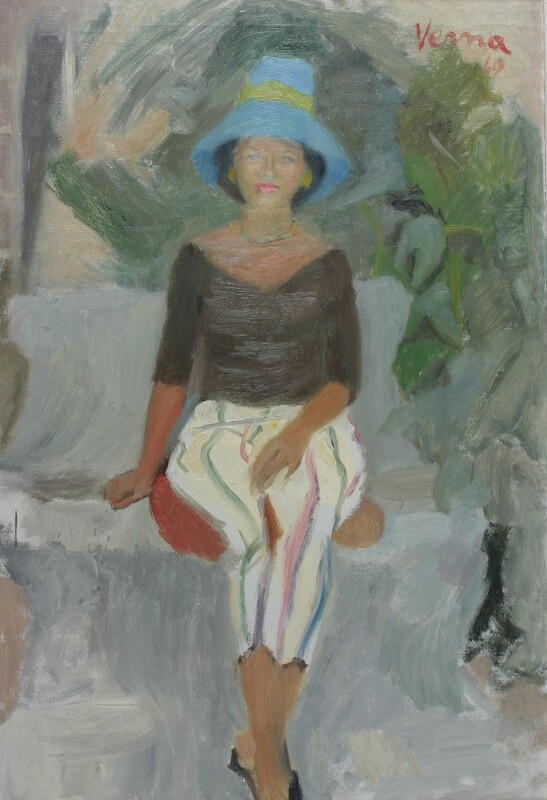 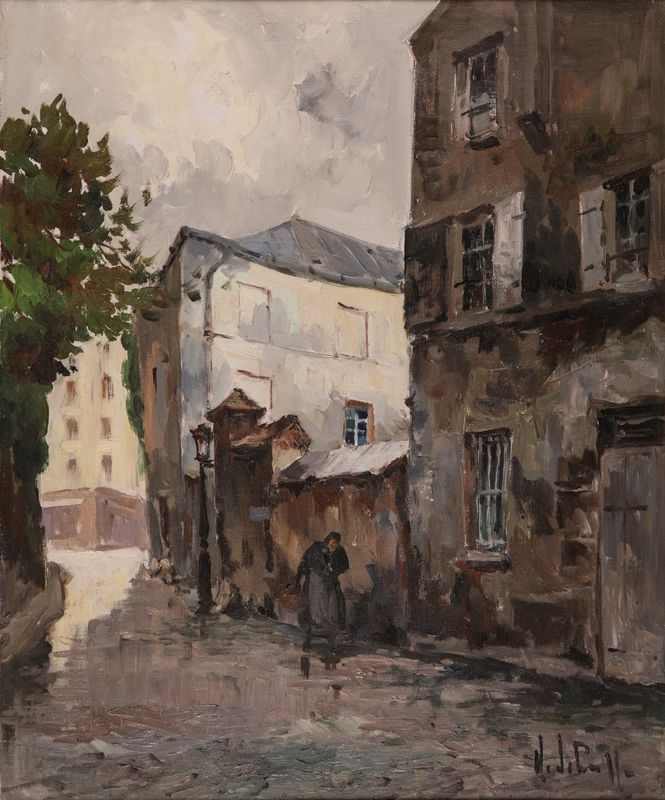 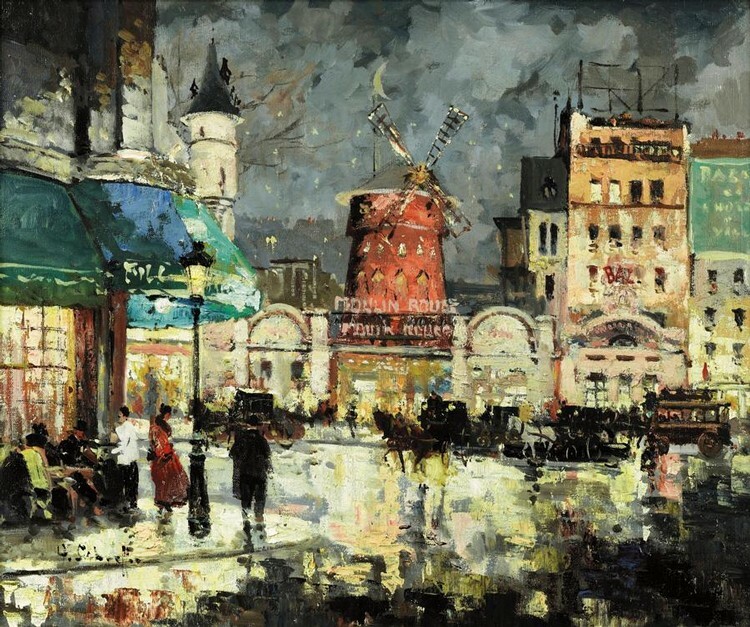 Henri Alexis Schaeffer (1900-1975) was born in Paris, France in early August of 1900. 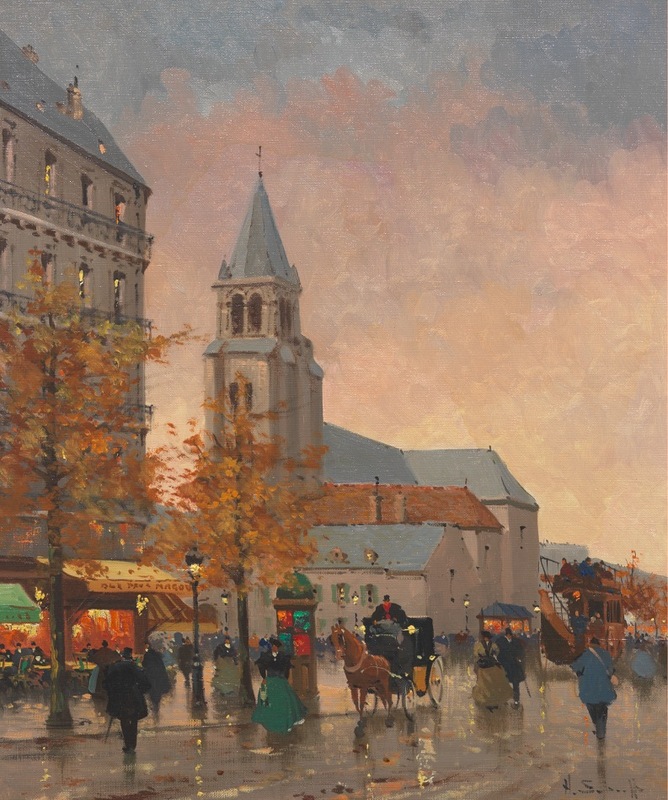 A student at the Ecole Nationale des Beaux Arts in Paris, Schaeffer studied painting under the hand of the master Cormon. 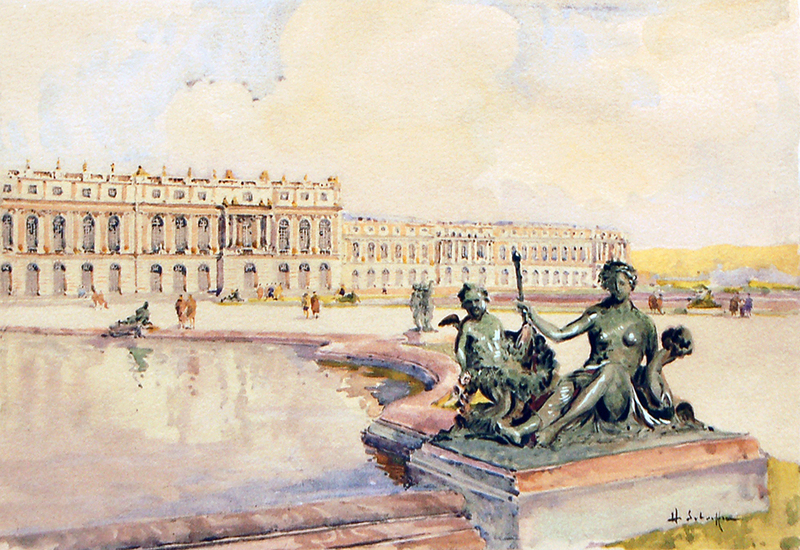 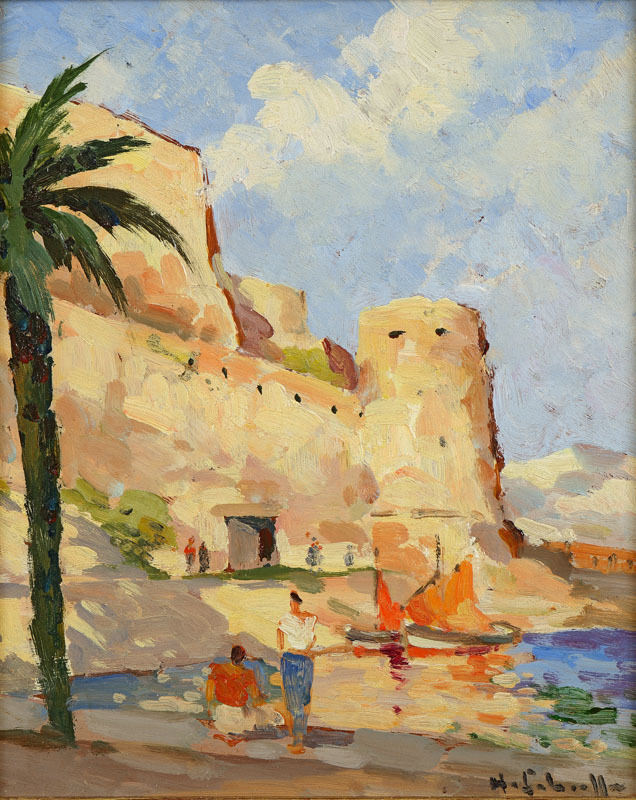 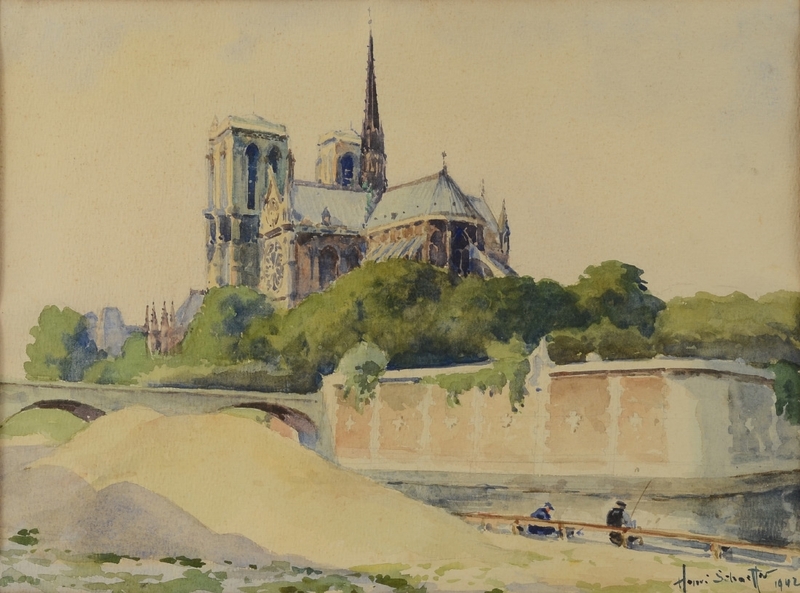 Schaeffer’s earlier paintings consisted primarily of architectural studies of classical monuments and religious landmarks. 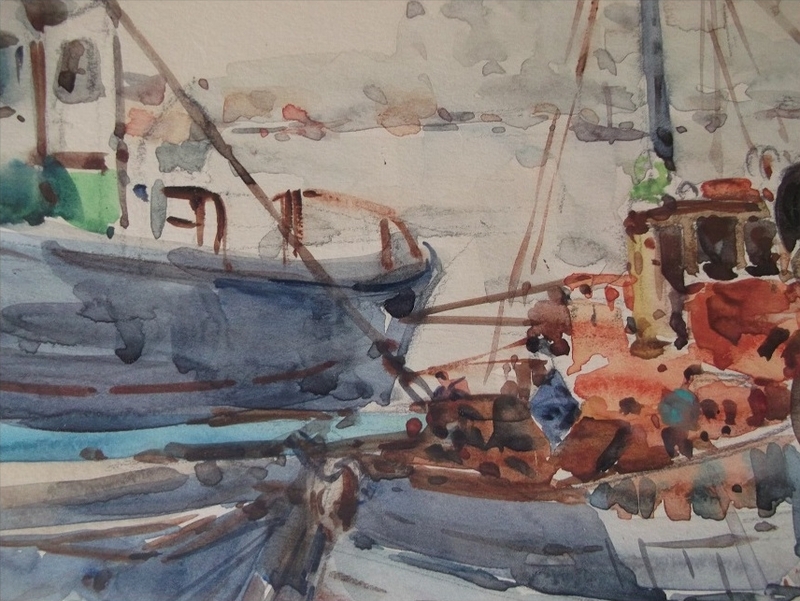 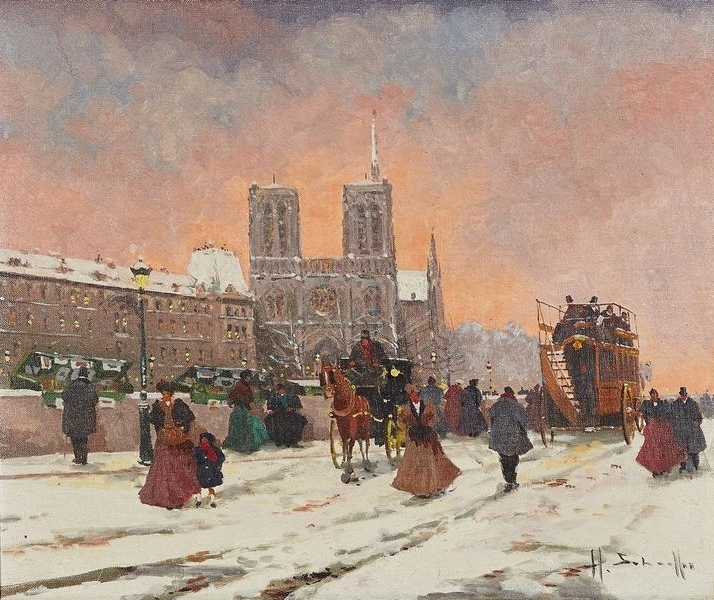 Regardless of the subject matter, virtually al of the artist’s earlier work was of a religious theme. 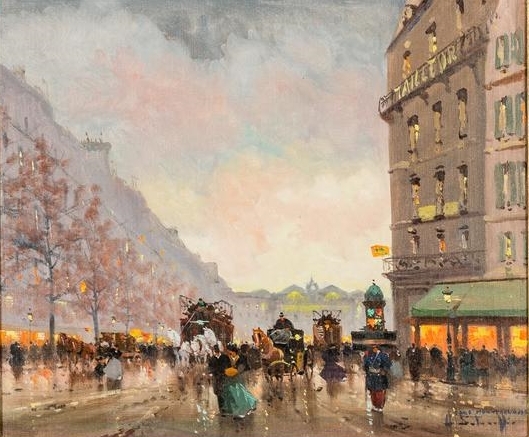 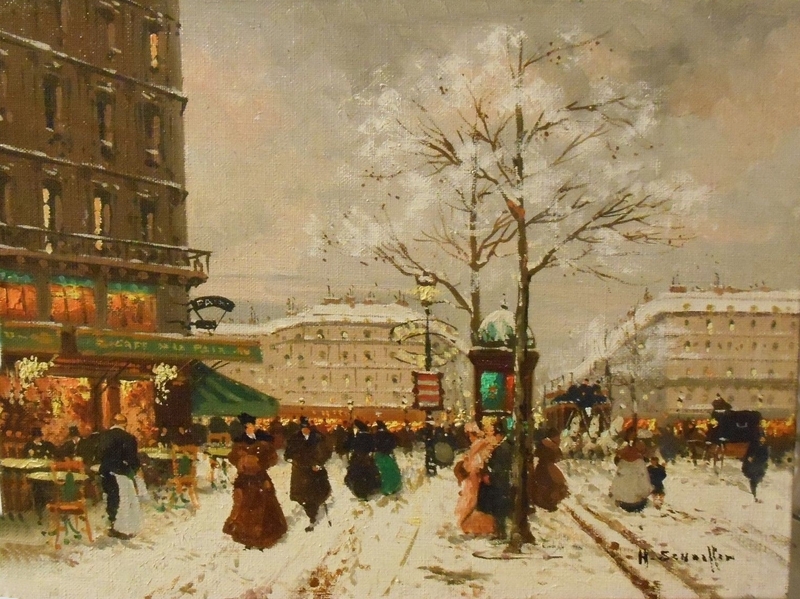 It was not until much later in his career that Henri Schaeffer represented Paris through its imperial and picturesque boulevards. 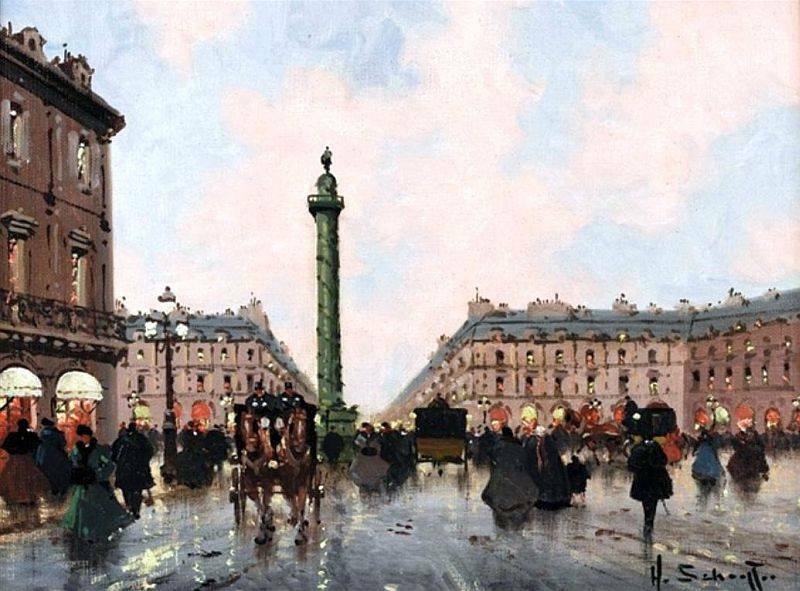 In this ingenuity there was a certain measure of retroactivity inherent to the nature of his later work. 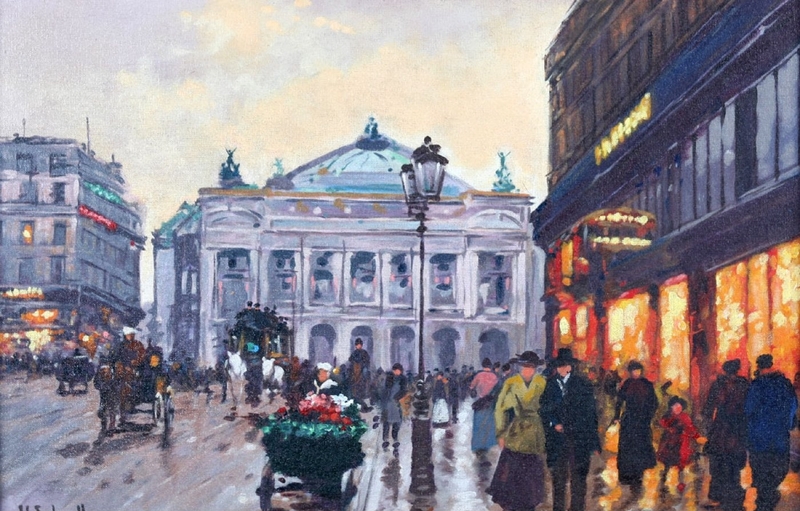 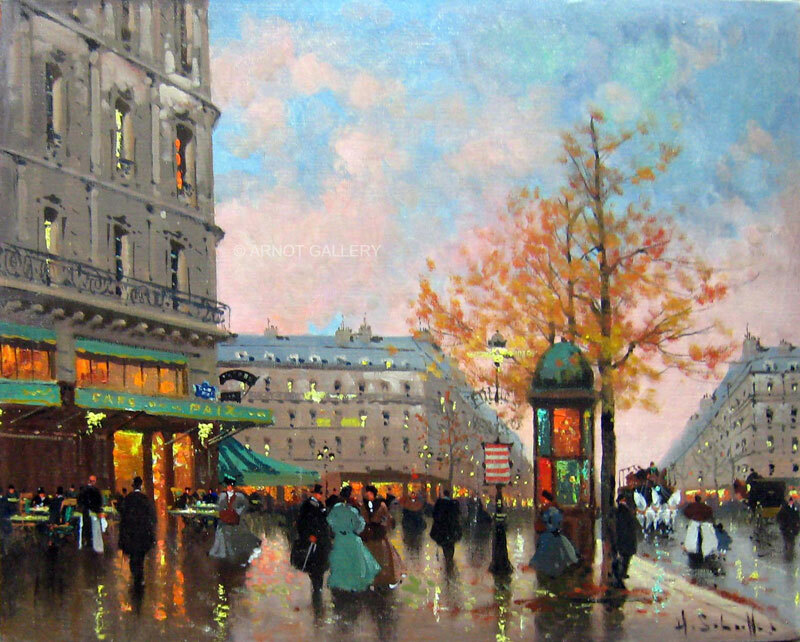 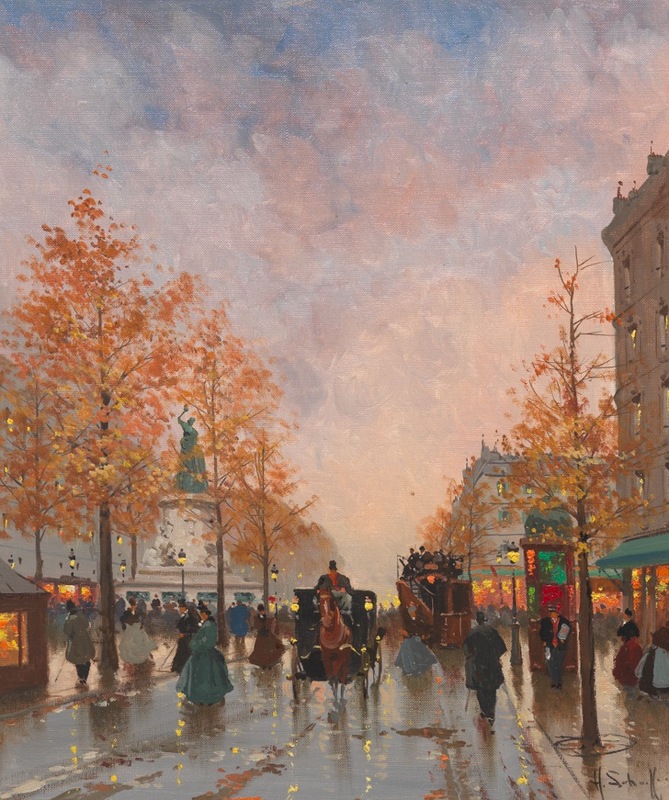 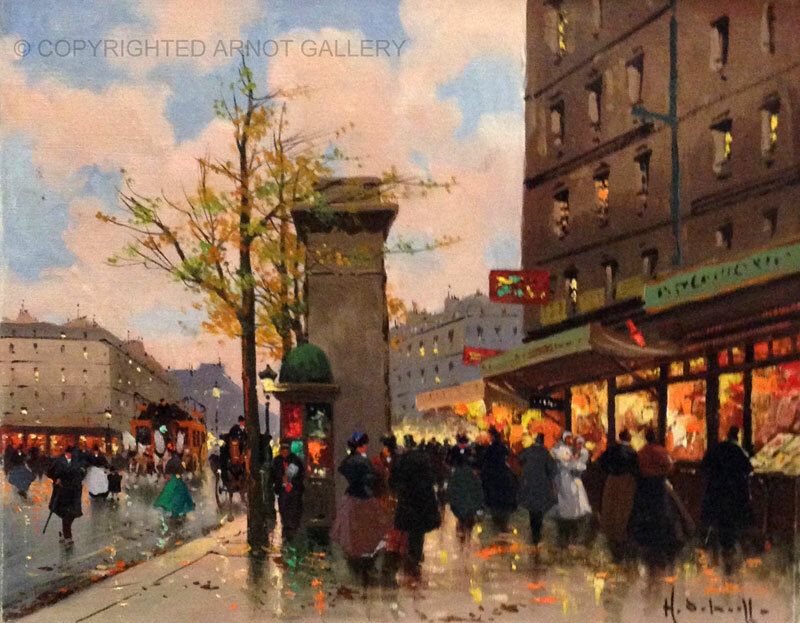 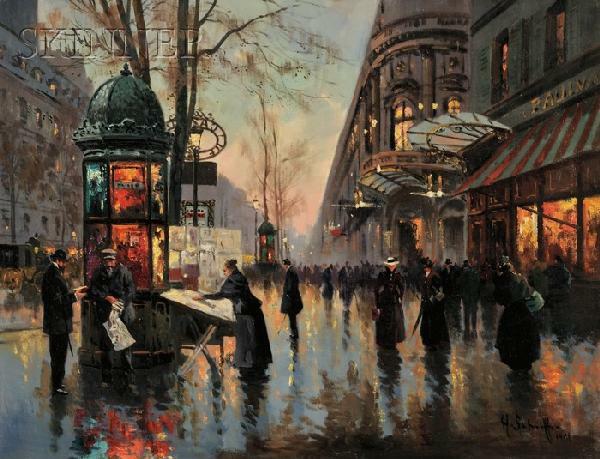 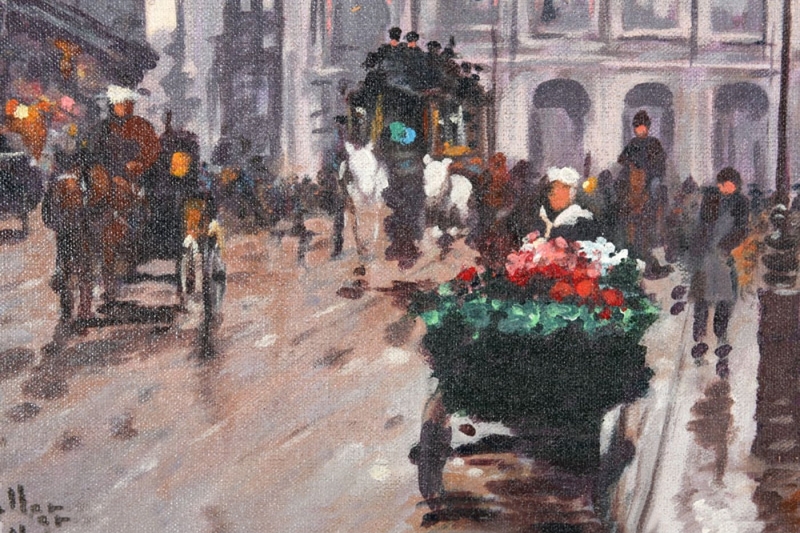 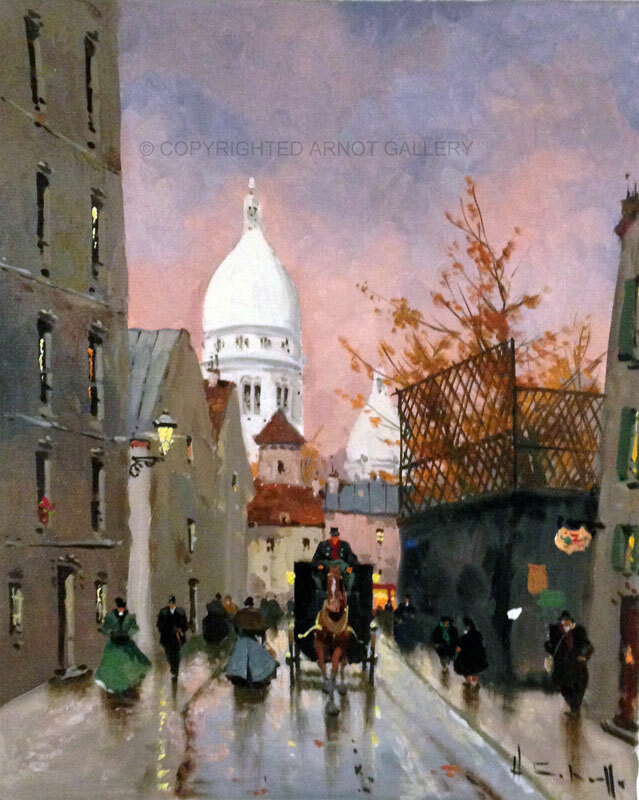 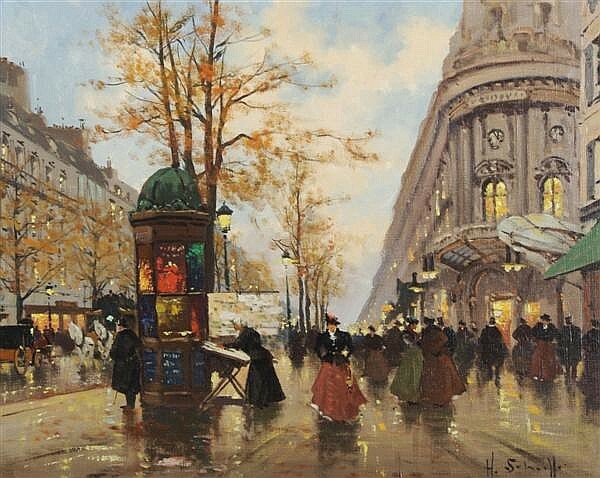 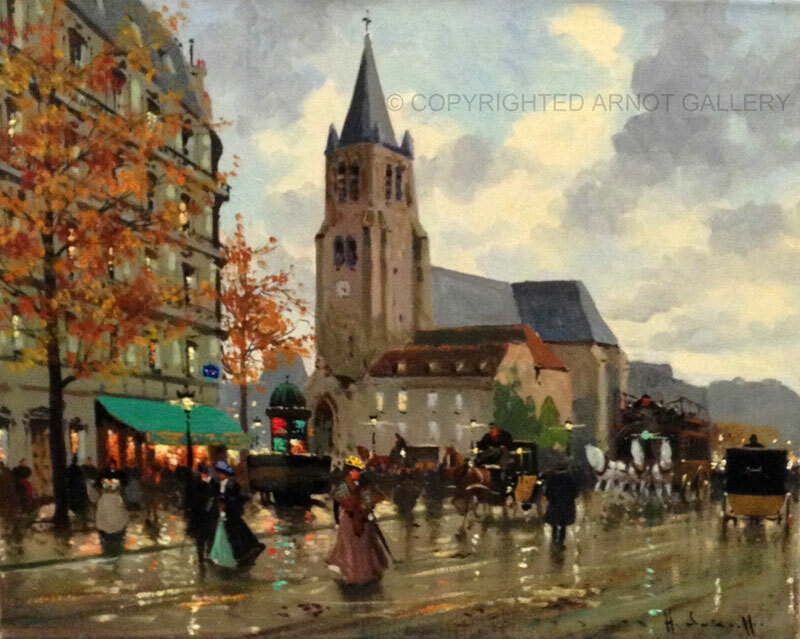 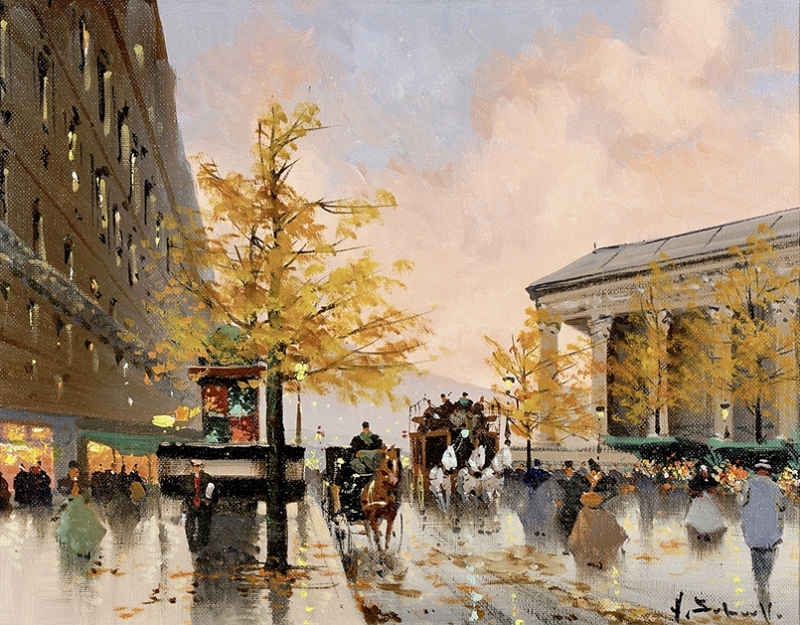 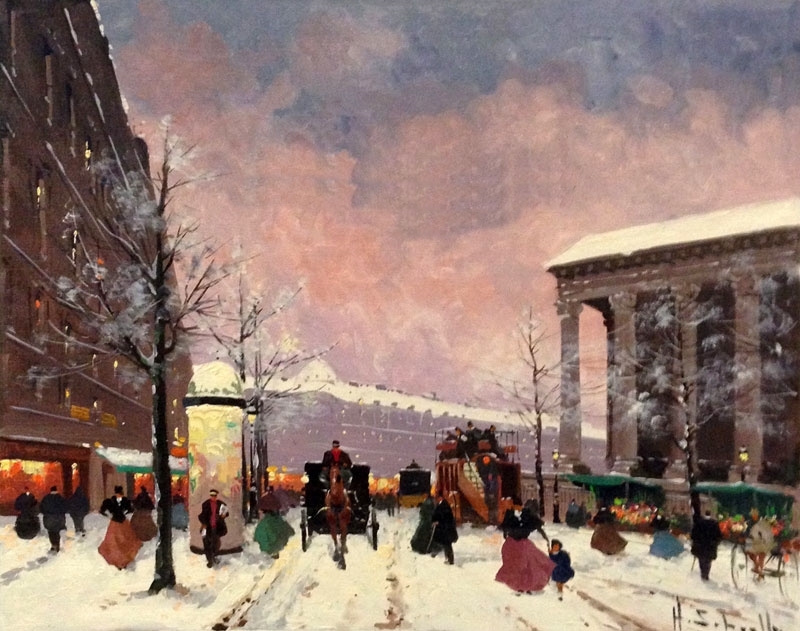 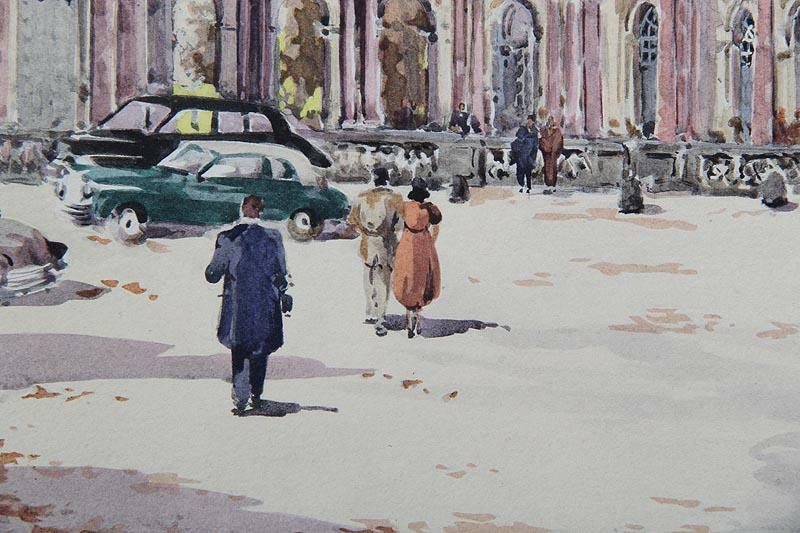 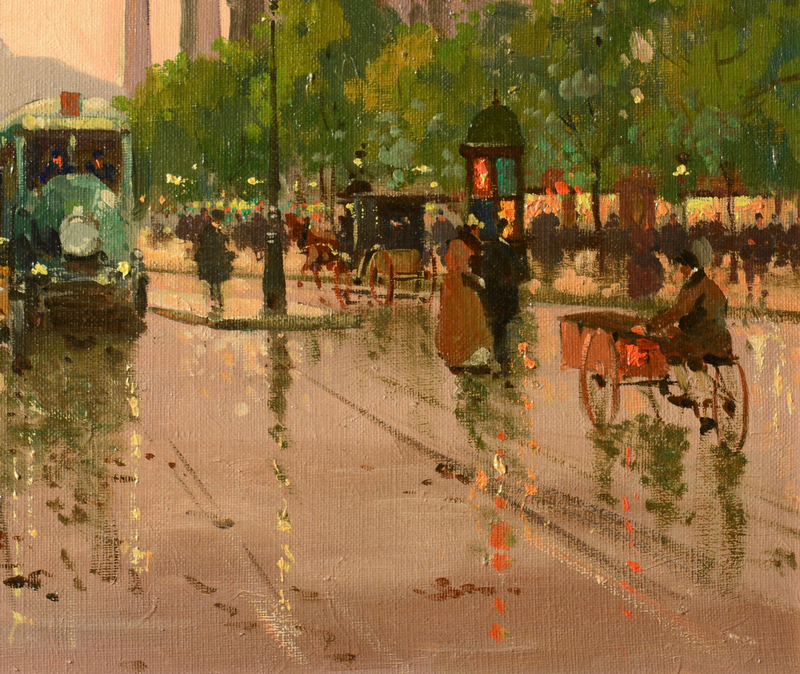 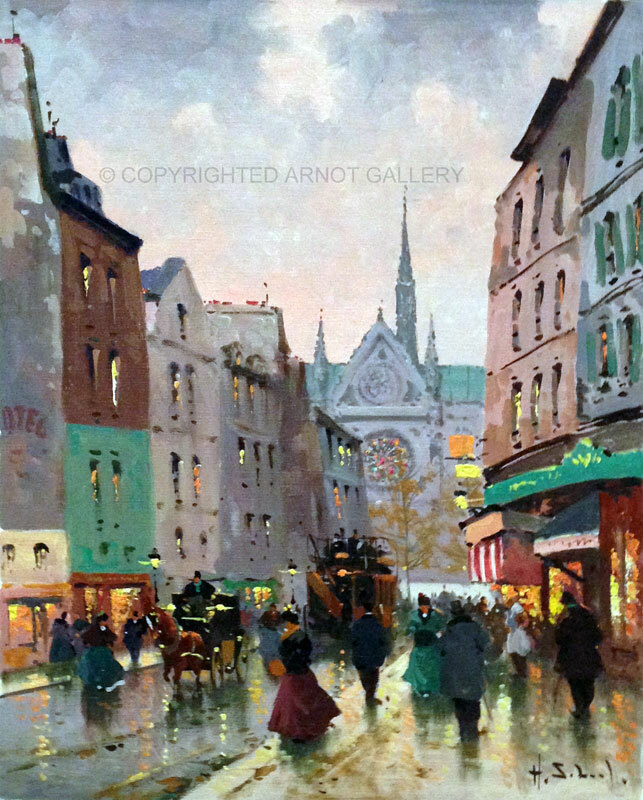 The paintings depict Paris subjects and landmarks, yet the Paris he portrays is the Paris of an earlier day; carriages, gaslights, women in clothing styled as it was in the first decades of this century. 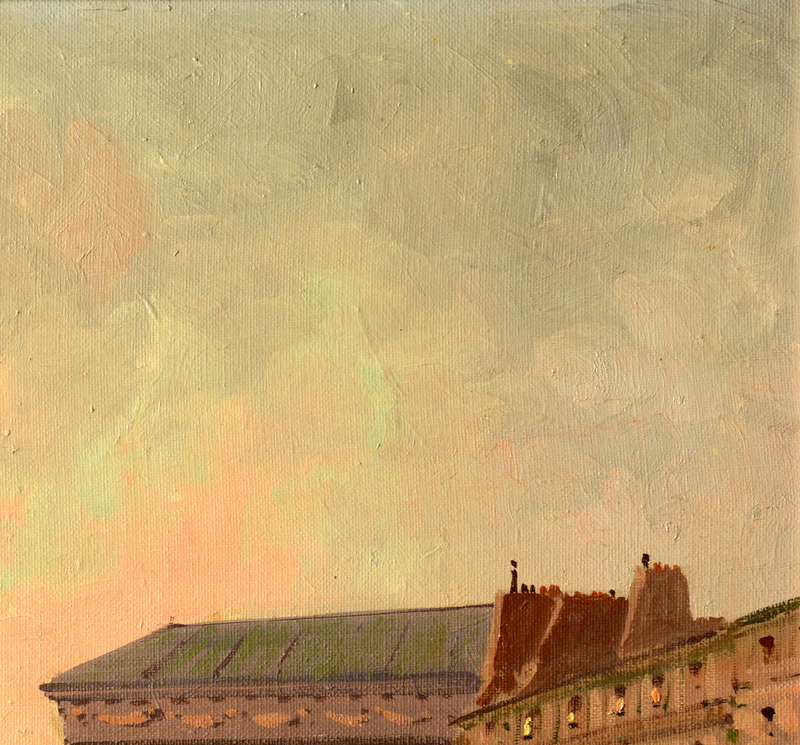 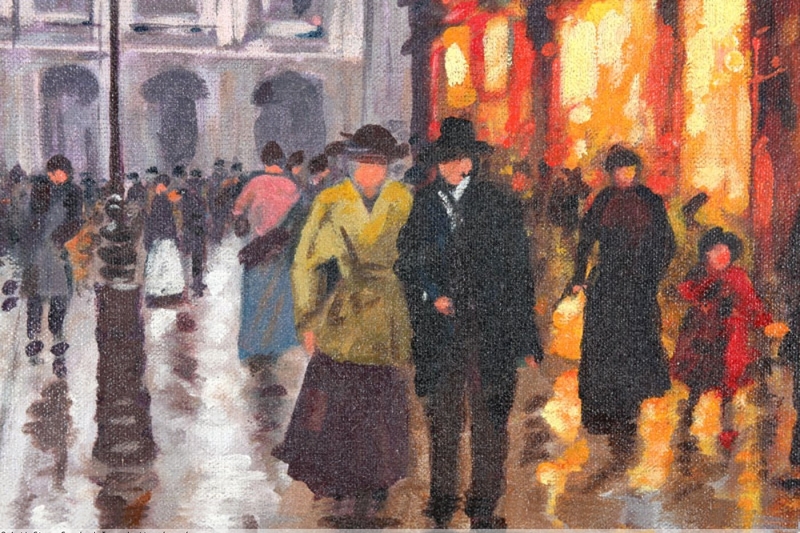 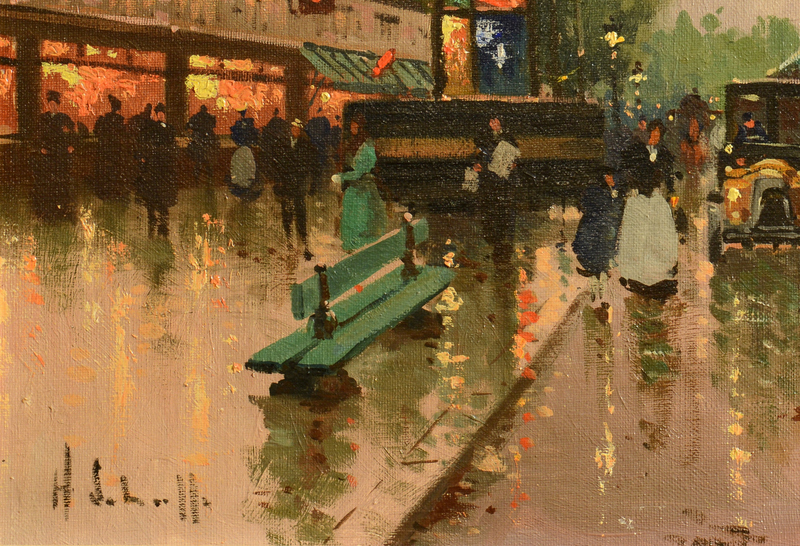 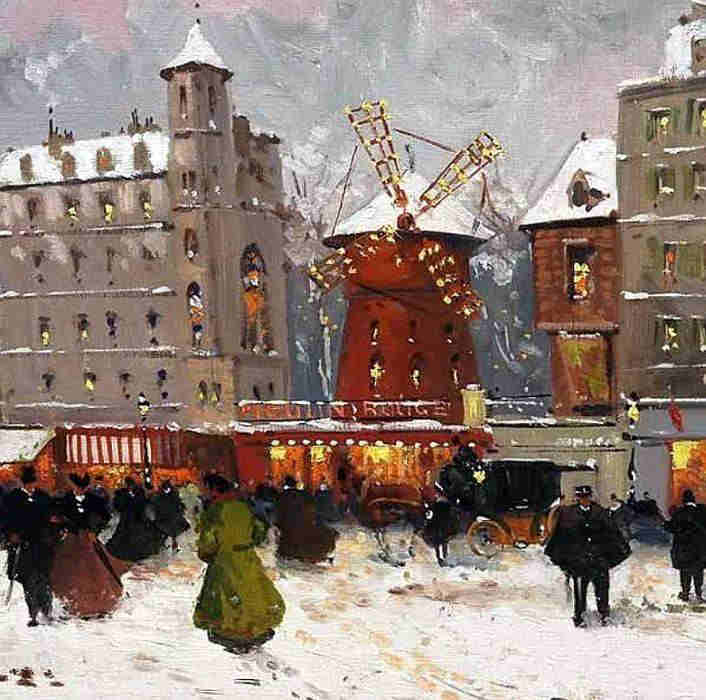 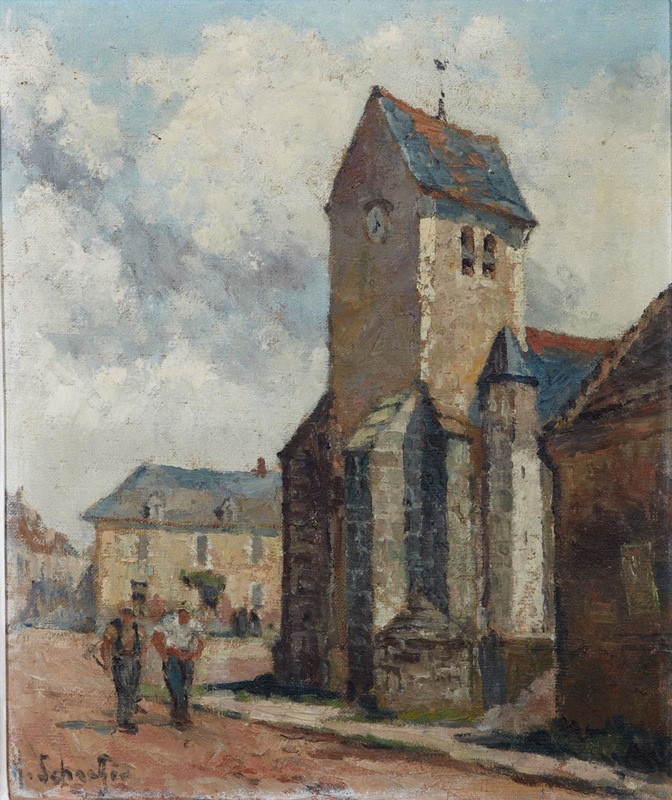 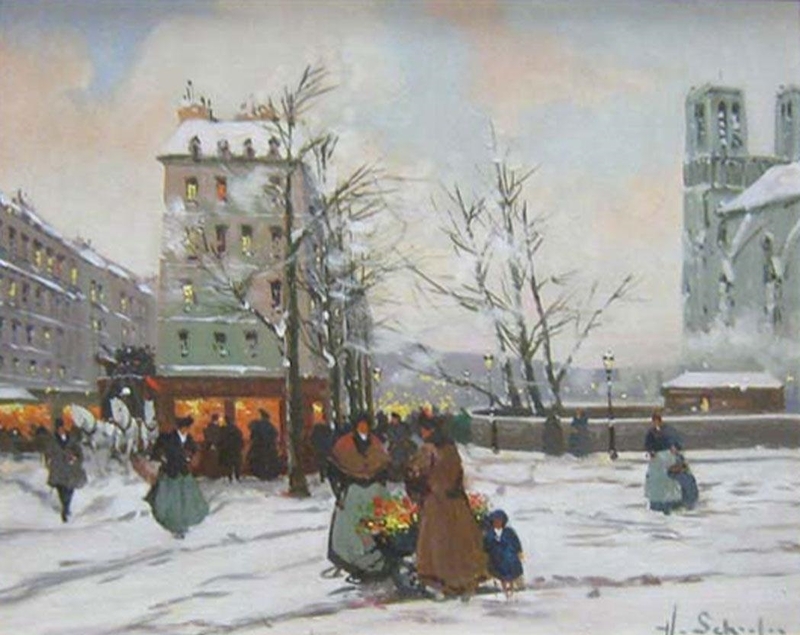 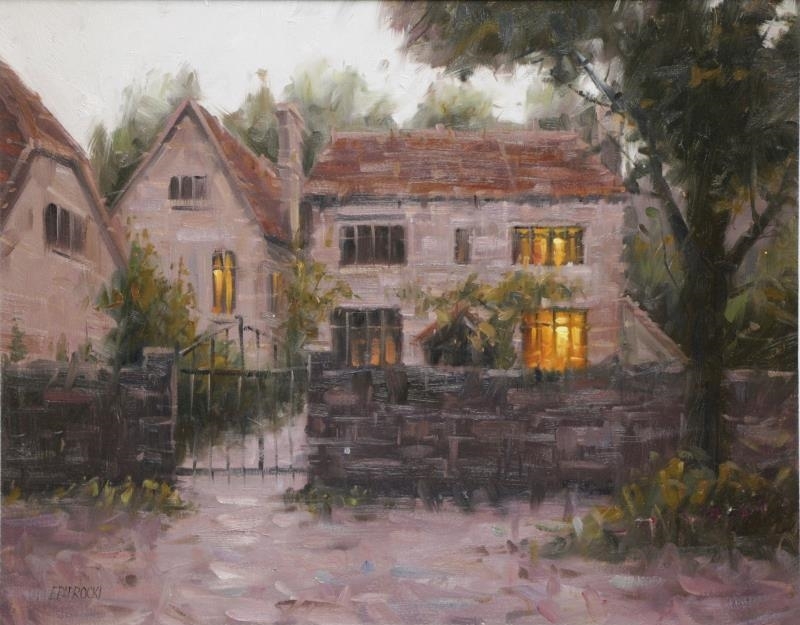 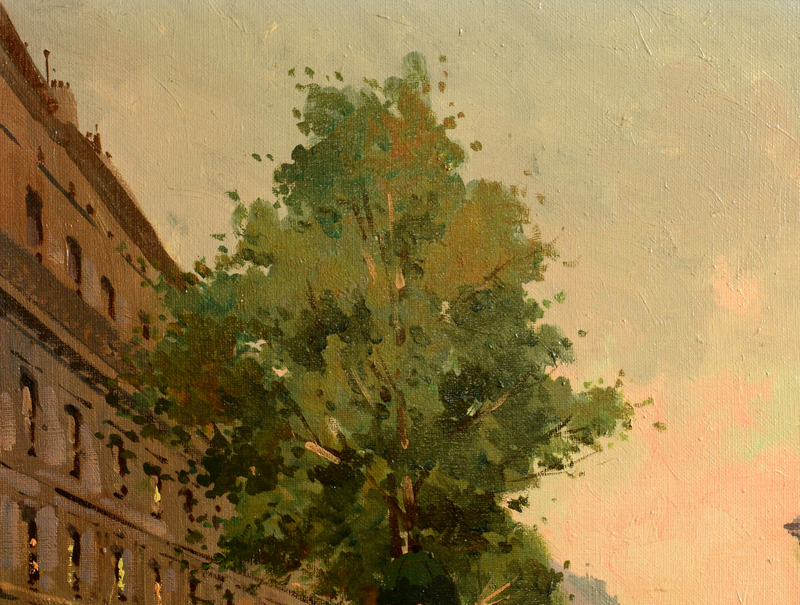 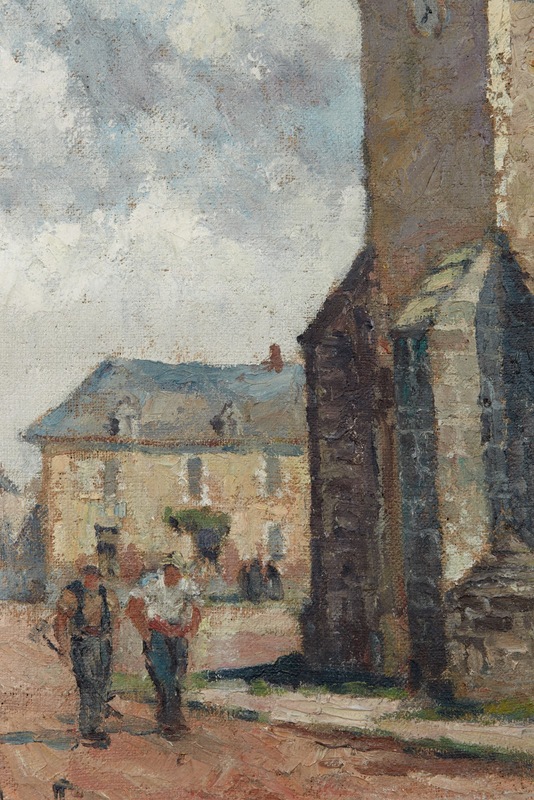 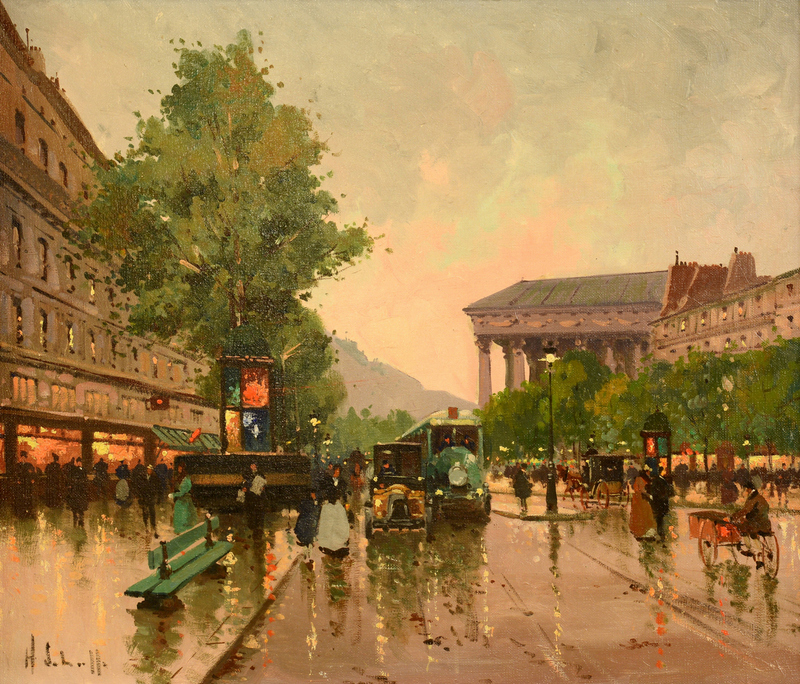 It has been suggested that Schaeffer was a painter of the Paris of his childhood.